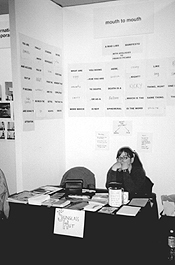 Top: Julie Laffin, Yield, 2003. Photo (c) Andrew E. Cook. 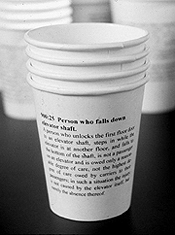 Center: Lora Lode, Public Ordinance Cups, solo cups, ink, various sizes, 1998. Courtesy the artist. Bottom: "99 bottles of beer on the wall..."